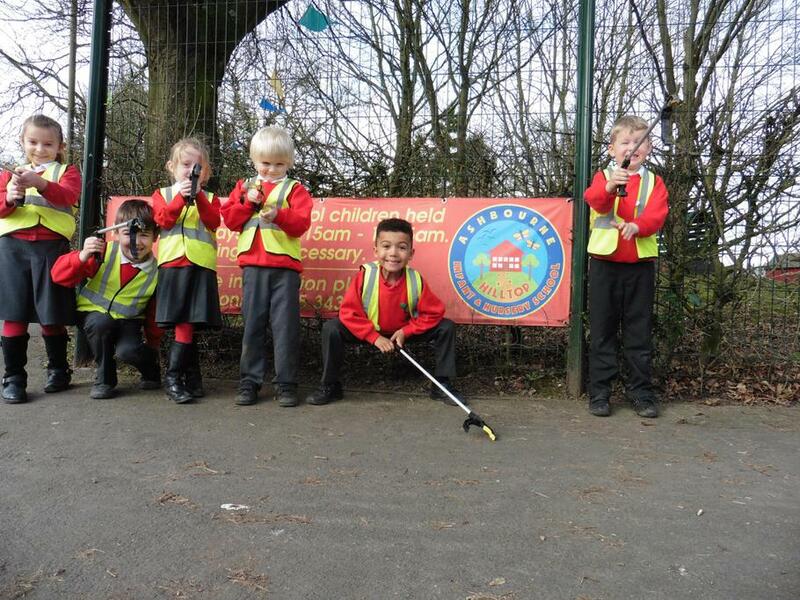 Today some of our children donned their high visibility waistcoats and got to work using litter pickers and bin bags to help with the Great British Spring Clean. 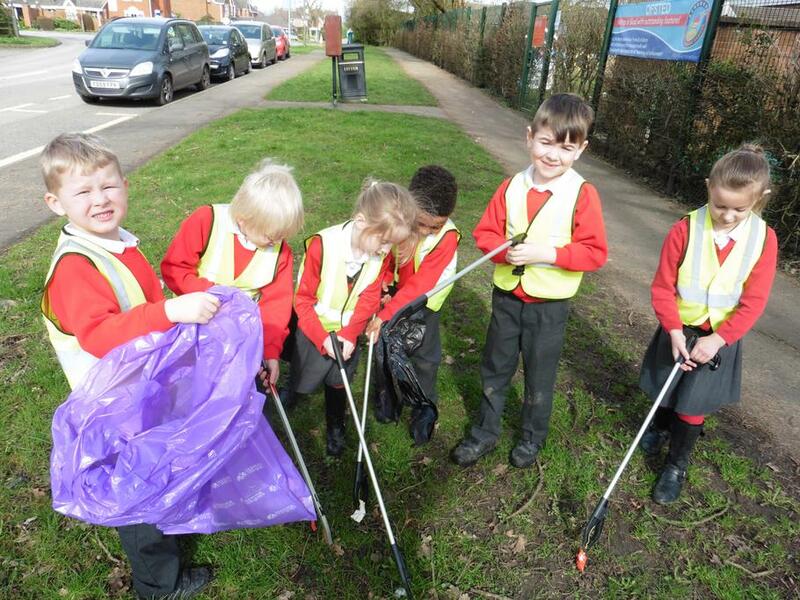 The children were keen to get out of the classroom and start cleaning up their local area, and they worked hard to collect litter from the pavement and grassed areas surrounding their school. Head Teacher, Hazel Jaques, said, "Over the years we've supported Ashbourne's Lets Last campaign targeting litter problems. It's had a great impact locally but it's always good to reinforce the message by being involved in national campaigns."